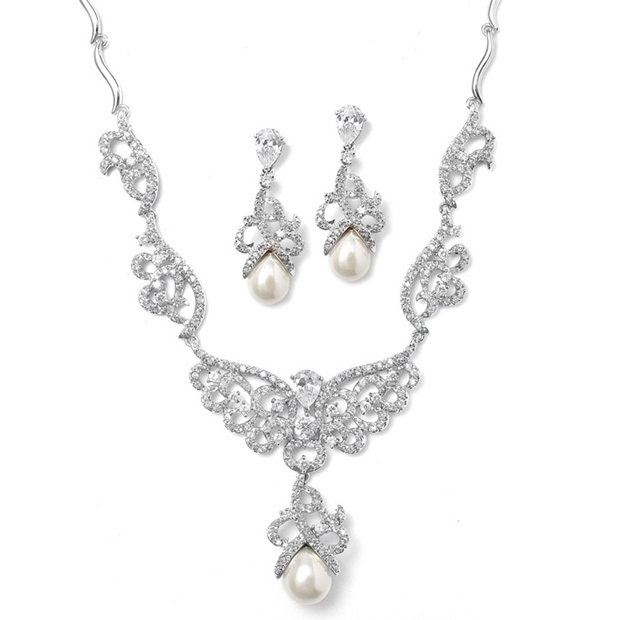 * Mariell's fabulous wholesale bridal necklace and earrings set with a soft creme pearl features a magnificent jewel encrusted CZ pavé scroll design which is truly a work of art! * This luxurious silver rhodium set will make a breathtaking accessory for any wedding or special event. * The earrings measure 1 1/2" h.
* The necklace is 16" and has an intricate center pattern which measures 2" h at the center.